I remember Roger Miller from the 1960's when hits such as 'King Of The Road' and 'England Swings' were often to be heard on the radio. 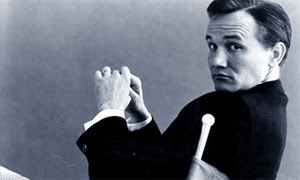 I was of course pretty young then, and preferred The Beatles and all things pop music, but Roger Miller crossed boundaries even to a minor, and sounded great. This is a recording from his final tour, on this occasion playing at the excellent Birchmere a venue that has helped launch many musical careers as well as feature musical legends. From The Birchmere, Alexandria, VA, USA, back on February 16th 1991, this is Roger Miller performing on his only ever solo tour. Set: Full 'In concert' performance.